The convention this year honors Ridley Scott’s ‘Blade Runner’ cult film released in 1982. The upcoming cinematic release of the DC Comics, Shazam superhero character, directed by David F. Sandberg, will also be a featured focus at the Cartoomics convention before its imminent release in mid-April in Italy’s movie theaters. The conference program at Cartoomics 2019 has programmed in many talks and special events and guests of renown. Among speakers, the first speaker on the program, and the Guest of Honor for the Comics section, Max Bunker (nom de plume of Luciano Secchi), is invited to Cartoomics to officially celebrate the 50th anniversary of the Alan Ford comic strip (and novel) series reflecting social criticism, social satire and black humor, created through Italian newspaper Magnus. Max Bunker will be the featured guest of a keynote chat, March 9, at the Multimedia Events Room, focusing on his career as a screenwriter who, in addition to the celebrated Alan Ford, has penned Italian comics classics such as Kriminal, Satanik and Maxmagnus, while not leaving out the numerous crime novels featuring Riccardo Finzi. Also of significance to Cartoomics convention, is the planned historic area dedicated to Italian comics hosting very important Italian publishers, from Sergio Bonelli Editore to Panini Comics, from Bao Publishing to Astorina, as well as Alastor Pegasus, RW Editions, Star Comics Editions, Dynit and Edizioni BD, up to the significant recent entry of Feltrinelli Comics. Also a sizeable number of young self-produced artists, with presentations, new releases, meetings with authors and guests, the presentation of the new lineups of the major Italian publishers and independent publishers. Worth noting is the must see exhibition dedicated to Diabolik as well as the exhibition “Superheroes and Radiations” created by AIFM (Italian Association of Medical Physics) in collaboration with WOW Spazio Fumetto. Fans of science fiction will find the vast area dedicated to the Sci-Fi universe and the Star Wars & Co. fantamondi with the participation of the costuming groups officially recognized by LucasFilm (501st Legion Italica Garrison, Rebel Legion Italian Base, Ori’cetar Clan – Italy MMCC and Galactic Academy) and the laserographic sword fights organized by Saber Guild. The Artist Boulevard and Self Comics area of the convention is dedicated to self-productions and artists who propose themselves independently outside the major publishing circuits. Over 90 cartoonists and illustrators will fill this space, in addition to established and great pencils of the comic arts, who decided to produce something autonomous with new promises outside of their usual gigs in the world of mainstream comics. SXSW is arguably the highest profile event of the month, encompassing three major topic areas: music, film and interactive tech. SXSW Music generally fields more than 2,200 official performers and bands playing in more than 100 venues throughout the Austin city limits. SXSW Film focuses on new directing talent. SXSW Interactive is focused on emerging technology, and the festival includes a trade show, speakers, parties and a startup accelerator. There are also official Welcome Events to get things started at SXSW. Attendees can open their SXSW experience by enjoying food, drink and networking. South by Southwest is run by the company SXSW, Inc. which plans and executes conferences, trade shows, festivals, and other events. South by Southwest (SXSW) Conference and Festivals, which runs March 8–17, has slated a well regarded lineup to their Keynote and Featured Speaker profile for the 2019 event. The Keynote speakers already announced include Endeavor Chief Marketing Officer ​Bozoma Saint John​, director, actress, producer and activist ​Olivia Wilde​, and the addition of Instagram co-founder ​Mike Krieger​ to a conversation with Kevin Systrom and Josh Constine. SXSW Conference programming is organized into 25 tracks divided between Interactive, Film, Music, and Convergence, presented in a variety of session formats. The world premiere of Jordan Peele’s ‘​Us​’ is the Opening Night film for the 26t​h​ edition of the SXSW Film Festival on Friday March 8. Veteran actor, producer and director of over four decades in Hollywood, Henry Winkler, will conduct the Henry Winkler Acting Workshop​ ​Featured Session​, leading an entertaining and insightful acting workshop in front of an audience. The South by Southwest® (SXSW®) Conference and Festivals will run its film segment from March 8-17. This year’s program encompasses 134 feature films including 101 World Premieres, 9 North American premieres, 3 US premieres, and 64 films from first-time filmmakers,101 short films (including music videos), five episodic premieres, 12 episodic pilots, 25 virtual cinema projects, and 30 title design entries. The world premiere of Paramount Pictures’ ‘​Pet Sematary​’, based on the seminal horror novel by Stephen King, and directed by Kevin Kölsch and Dennis Widmyer, will close the 2019 Festival. The Virtual Cinema section of the Film Festival continues to emphasize and showcase new and cutting-edge work, this year with 25 projects emphasizing storytelling, craftiness while demonstrating how other industries are embracing this new medium.. Among the featured conference speakers now lined up are musician and creative, ​Endeavor’s Bozoma Saint John; A$AP Rocky​; Instagram co-founders Mike Krieger ​and ​Kevin Systrom​; journalist and author ​Jill Abramson​; actress, writer, producer and director ​Pamela Adlon​; Vox Media ​Jim Bankoff​; film director, actress, producer and activist Olivia Wilde; Chan-Zuckerberg Initiative Priscilla Chan​; senior editor at New York Times and author Jill Abramson​; Congresswoman ​Alexandria Ocasio-Cortez​; Entertainment Influencers’ Emmy-winning actress Pamela Adlon; singer-songwriter ​David Crosby​; MedMen Enterprises’ Adam Bierman​; director, producer and writer ​Cameron Crowe​; manager for Chance the Rapper and founder of Haight Brand, Pat Corcoran; author and podcaster ​Tim Ferriss​; author​ Neil Gaiman​; US Senator​ Mazie Hirono​; WndrCo and Quibi founder ​Jeffrey Katzenberg;​ award-winning journalist, speaker, and author Soledad O’Brien​; Foursquare co-founder Dennis Crowley; Buzzfeed’s ​Jonah Peretti​; Quibi’s ​Meg Whitman​; Bird founder Travis VanderZanden​; Designing for Films at Pixar Animation Studios​ ​Deanna Marsigliese​ and ​Josh Holtsclaw​, and others. South by Southwest Music Festival will offer the third wave of Showcasing Artists invited to perform at the 2019 event. The mix of up-and-coming and notable artists from around the world will perform in intimate lounges and renowned music venues for industry professionals, influencers, international media and music fans alike. The SXSW Music Festival’s 33rd annual event takes place March 11-17. This year the SXSW Music Festival is pleased to present first-time showcase lineups by Spacebomb Records, YEAR0001, Playtime Festival Mongolia, Don’t Come to LA, She Shreds, Verve Label Group​, and ​Mahogany,​ as well as highly anticipated returning showcases from ​Communion, Gorilla vs. Bear + Luminelle​, and ​BBC​. SXSW will also be celebrating the 25th anniversary of ​Bloodshot Records​ and hosting a 10th year anniversary showcase for Sounds from Columbia​. Details on lineups and venue locations will be released in the coming weeks along with more artists and showcases. For more information on the SXSW Music Festival, please visit​ ​sxsw.com/festivals/music/​. Please check​ ​sxsw.com​ for additional artists as they are added. SXSW dedicates itself to helping creative people achieve their goals. Founded in 1987 in Austin, Texas, SXSW is best known for its conference and festivals that celebrate the convergence of the interactive, film, and music industries. An essential destination for global professionals, the event features sessions, showcases, screenings, exhibitions, and a variety of networking opportunities. SXSW proves that the most unexpected discoveries happen when diverse topics and people come together. SXSW 2019 will take place March 8-17, 2019. For more information, please visit ​sxsw.com​. To register for the event, please visit ​sxsw.com/attend​. DVB World is an annual conference focused on Digital Video Broadcasting Project (DVB) standards, services and technology. It presents timely sessions on emerging issues, assuming the choices that lie before the industry. Pertinent topics for DVB World 2019 include 5G, OTT, DVB-I and HbbTV. More precisely, DVB forms a consortium of leading technology companies creating technical specs for delivering video and its evolution moving forward. DVB World is organized under the supervision of the DVB Promotion and Communications Module and the DVB Project Office by DVB Services Sàrl, based in Geneva, Switzerland. And DVB World 2019 will happen in a unusually unique venue. Croke Park, which is the home of Ireland’s largest sporting and cultural organization, the Gaelic Athletic Association. Europe’s third largest stadium, it regularly hosts more than 80,000 passionate supporters of Ireland’s national sports. DVB World will offer a special masterclass, Implementing HbbTV, as its first event on the schedule opening the March 11 convention. The HbbTV toolbox offers broadcasters and operators interactive services, enriching TV content and simplifying access, all similar to other digital media and branded TV viewing experiences with OpApps. Other parts of the session explain how HbbTV standards can easily be implemented to create interactive services and how these can be integrated into broadcaster and operator environments to optimize the reach of their TV channels. Beyond the conference agenda, topics you can expect to find in the DVB World conference agenda include, A Future of TV Distribution in Switzerland, Building a DVB-based Conditional Access System for the Cable Market in India, A Google Perspective on Addressable TV, Can We Still Build Successful Standards in a World of Disruptors? Video Technology in 5-10 Years, Audio Technology in 5-10 years, Broadcasters and 5G. The conference opening keynote, Why Broadcasters Need DVB and DVB Needs Broadcasters, will be delivered by Antonio Arcidiacono of EBU. The Game Developers Conference (GDC) and expo will be in San Francisco for five days beginning March 18, offering attendees who are programmers, artists, producers, game designers, audio professionals, business decision-makers and others involved in the development of interactive games and immersive experiences a space to learn and network. GDC attendees can relax, play featured games, and meet new colleagues throughout the week at interactive spaces, themed areas for indie games, retro games, alternative controllers, and other activities. The year 2019 marks the inaugural start of the GDC Film Festival, screening documentary and narrative film works focused on the art and culture of video games. The GDC Conference segment will offer 750 lectures, panels, tutorials and roundtable discussions on a comprehensive selection of game development and VR/AR topics taught by industry practitioners. Attendees can enhance their level of awareness about tools and middleware, publishing, outsourcing and localization, marketing and PR, legal matters, funding and VCs, gamification, education and training, development tools, monetization. The GDC Expo showcases the latest game development tools and services from 550 leading technology companies such as Amazon, Google, Intel, Nvidia, Oculus, Sony, and Unreal Engine. Attendees can use GDC Connect business matchmaking (before expo attendance) to set up meetings and explore new partnerships and business opportunities. 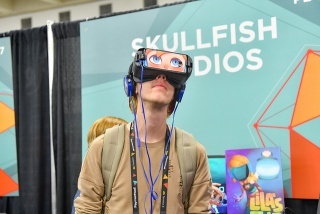 This year, acknowledged GDC Expo highlights will include, GDC Play, offering games from 100+ emerging and independent developers; VR Play, showing immersive experiences from VR and AR developers; Country Pavilions, countries taking part in a global community of pavilions representing the global game development industry; GDC Connect, forming a designated area to use as the business matchmaking tool to find contacts and pre-arrange meetings; Business Center, available for private meetings and demo technology in an exclusive setting; Career Theater, to meet potential employers and attend career development sessions at; Community Spaces, to play games and meet new gaming colleagues in these designated spaces for the expo’s duration. GDC hosts two award ceremonies recognizing the creativity, artistry and technical sharpness of the exhibiting developers and their games. The Game Developers Choice Awards (on March 20) a well regarded, peer-based video game awards show celebrating the industry’s top games and developers. The Independent Games Festival (on March 20) honors innovative and exemplary projects in indie game development. GDC Expo is organized by UBM, which in June 2018 combined with Informa PLC to become a B2B information services group and a foremost B2B Events organizer spanning the globe. Similar to its sibling Comic-con that happens typically in July In San Diego, WonderCon is an annual comic book, science fiction, and film convention that was originally held in the San Francisco Bay Area until 2011. Since then it has been staged in Anaheim where it will happen again this year from March 29-31. While the main attraction of WonderCon has always been various retailers selling back issues of comic books and action figures, it has also grown to include retailers of specialty DVDs. There is also an Artists Alley featuring mainly comic book artists selling artwork, signing books, and doing sketches; and mainstream celebrities signing autographed pictures. WonderCon also features an event called “Trailer Park,” where trailers for upcoming films are shown. The WonderCon masquerade competition usually takes place on Saturday after the convention closes. Awards are given to those with the most creative performances, though anyone can participate. Since 2007, academicians and comic industry professionals have held the Comics Arts Conference in conjunction with WonderCon. This year’s WonderCon Anaheim Program Book cover celebrates the comics milestone of the 1000th issue of Detective Comics, featuring Batman. This year’s WonderCon Anaheim Program Book cover is illustrated by 2019 special guest Lee Weeks. Known for his work at Marvel Comics on Daredevil and Hulk, Lee teamed with Bat-writer Tom King for the memorable (and award-winning) Batman v Elmer Fudd special and then the “Cold Days” arc in the Batman series. The WonderCon Anaheim Program Book is given free to all attendees at the event. The availability of the program book is another way for the convention to say, Happy 80th birthday, Batman, and happy 1000th issue of Detective Comics. During the 2019 WonderCon, a sampling of comic writers, artists, and book authors you can expect to see in attendance include, Lee Weeks (artist, Batman, Daredevil); Peter J. Tomasi (writer, Detective Comics, Super Sons, Superman); Brian Stelfreeze (artist, Black Panther, Batman: Shadow of the Bat); Scott Snyder (writer, Batman, Dark Nights Metal, The Batman Who Laughs); Dana Simpson (writer/artist, Phoebe and Her Unicorn series); Greg Pak (writer, Planet Hulk, Firefly, James Bond 007); Michael Grumley (author, Breakthrough series); Tula Lotay (artist, Supreme: Blue Rose, Heartless); Jim Lee (DC Comics publisher, artist, Batman: Hush, Justice League); Tom King (writer, Batman, Mister Miracle, Heroes in Crisis); Joëlle Jones (writer/artist, Catwoman; artist, Supergirl: Being Super); Kendare Blake (author, Three Dark Crowns series, Goddess War trilogy); Gerry Duggan (writer, Deadpool, Infinity Wars, Guardians of the Galaxy, Star Wars). Also, Marvel Studios’ Head of Visual Development Ryan Meinerding and Sergio Aragonés (MAD, Groo the Wanderer) and Mark Evanier (Kirby King of Comics, Garfield), are featured additions. The above events are only a sample of what is fully listed. Complete details are on the “Calendar of Global Media and Showbiz Industry Social Networking Events” page. If you like this report and other content found on The Actor’s Checklist, like the Facebook page at this link. 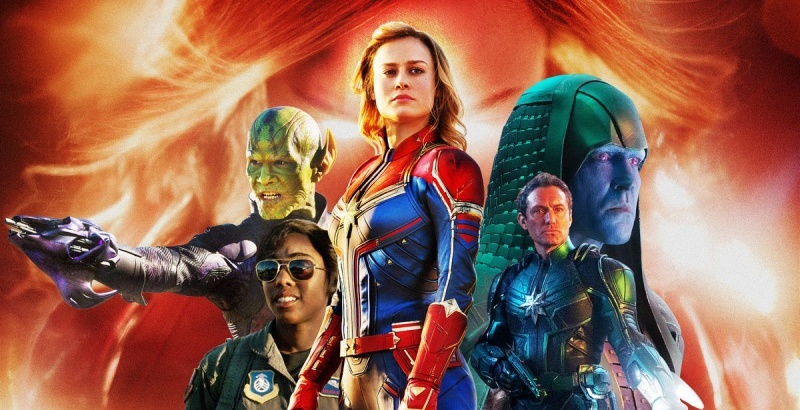 In this month’s photo placement (starting at the very top), Captain Marvel, starring Brie Larson, Samuel L. Jackson, Ben Mendelsohn, others, and directed by Anna Boden and Ryan Fleck, opened to strong box office numbers for its North American premiere in the first week of April. 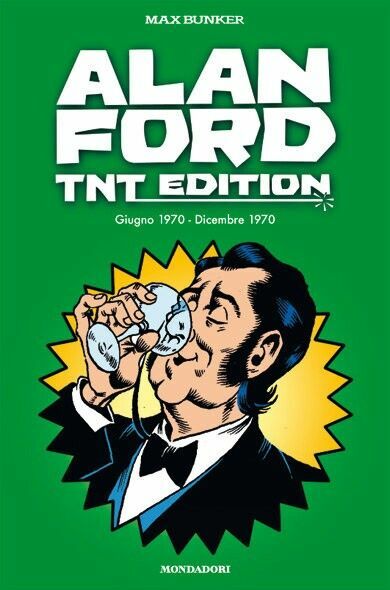 Next, 50th anniversary of the Alan Ford comic strip at the Cartoomics festival in Rho, Italy, SXSW 2019 in Austin, DVB World in Dublin, Game Developers Conference and Expo in San Francisco. We are in a new year and the calendar pace picks up. Heading into April here are some anticipated industry events to note on the calendar. NAB Show rolls into Las Vegas for its 96th convention year, MIPTV International Market for Content Development and Distribution returns to Cannes, Musikmesse music industry convention is in Frankfurt, Hot Docs Canadian International Documentary Festival returns to Toronto, Coachella Music Festival returns to the California desert area of Indio, Billboard Latin Music Conference and Awards will be in Las Vegas, VRX Europe 2019 will be in Amsterdam, Cartoon Business happens in the city of Tampere.